Tempe Krav Maga is an easy-to-learn combat system that EVERY man, woman and child could deploy. It's currently used by civilians, as well as law enforcement agencies, Military and S.W.A.T. teams around the world. This Kickboxing class is a high-energy, fun workout that will burn over 800 calories an hour. If you've been look for a fitness program that will burn fat, strengthen and tone your muscles while you learn effective self-defense techniques. At Tempe Self Defense we are certified "experts in self defense". 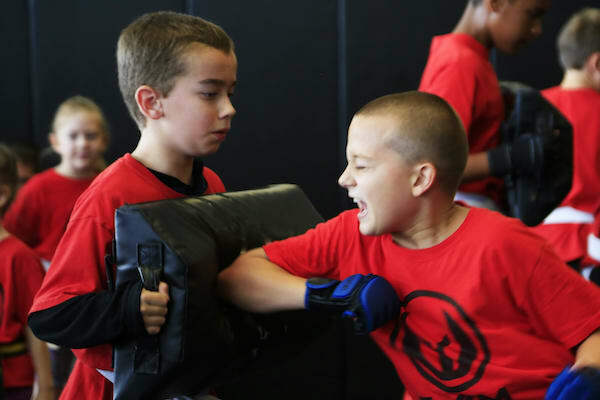 We TRAIN using proven and effective REAL WORLD applications that give kids the skills and information to protect themselves in all sorts of situations.